Guildford Guildhall in the last 6 years has proved to be our most reliable and best performing market. The venue has regularly attracted anything between 700 and 2000 per day who tend to have also bought extremely well. For help finding the venue please visit the 'Finding the Guildford Guildhall' page by clicking here! 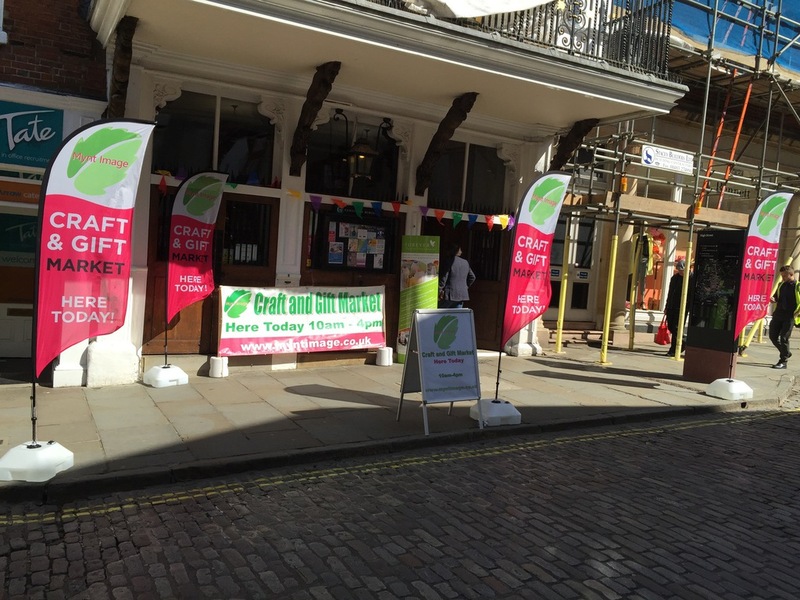 The Guildhall is located right on Guildford High street and is already used for antiques and collectors fairs as well as a good many charity and council events. The venue creates a huge footfall especially with the active marketing techniques used by Mynt Image. 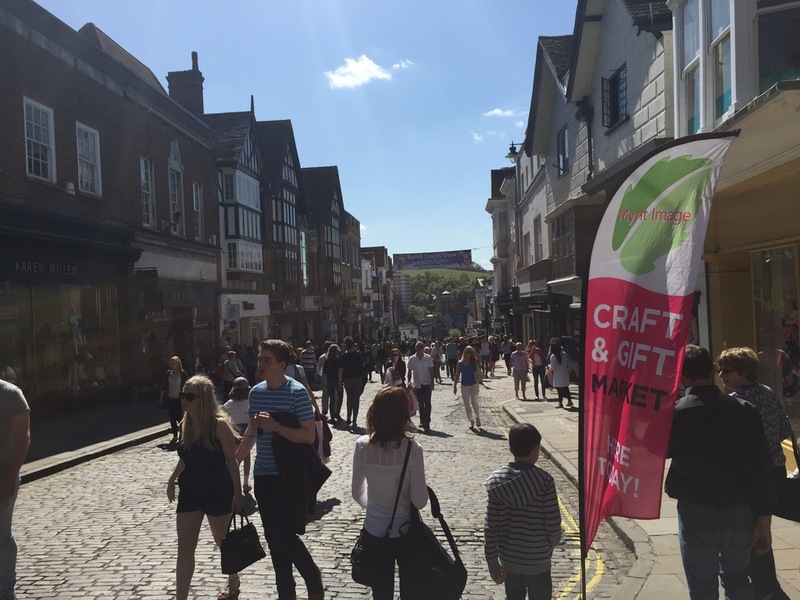 Guildford High Street is always packed with shoppers visiting the huge range of top quality shopping outlets and stores and also attracts a good many tourists each and every day. 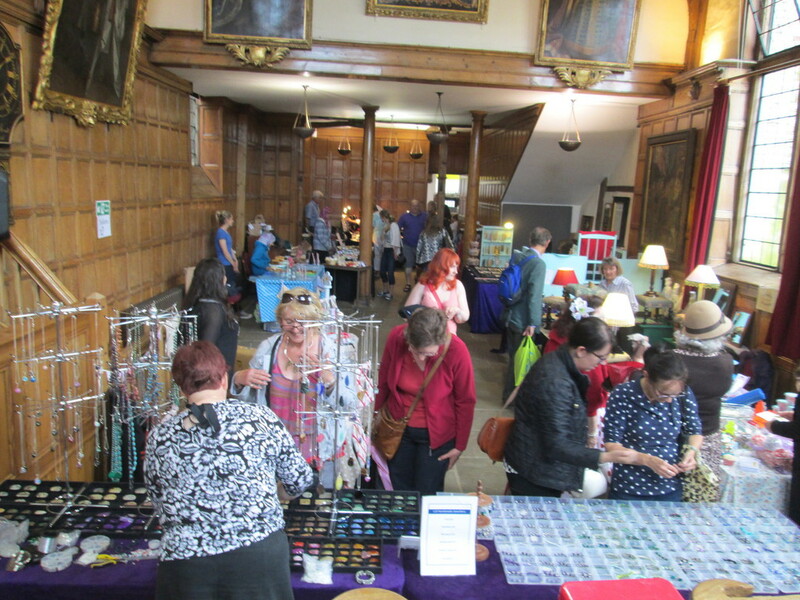 This venue really is rivalling our flagship event at Salisbury and is attracting many regular stallholders. With a limited number of spaces available and an already proven track record many spaces for 2018 disappeared within a few days of release. This really is a fantastic venue. Guildford midweek events leading up to Christmas 2015 and 2016 attracted from 800 up to 1200 customers per event! Saturday dates attracted from around 700 up to 2000 per event over the year but more often than not reached 1000+. (Guildford is our only event to close at 5pm.) Tables are always supplied in the upstairs hall but a 6' table will need to be taken by stallholders if booking the downstairs hall (there are steps into the building and a few to the 'downstairs' hall, and more down to the 'lower ground floor' where the kitchen and toilets are located. There is no lift at this venue.) There is a miximumof 22 spaces/tables available at this venue.